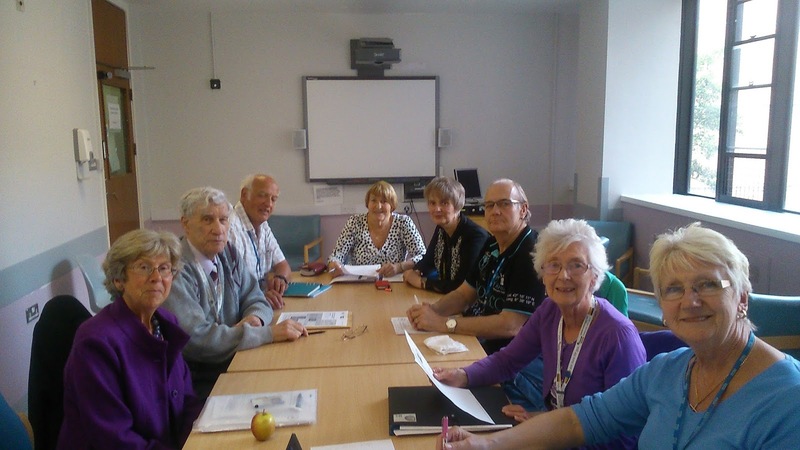 The Patient Partnership Group (or PPG for short) has an important role to play at NUH. It is a group of patients and staff who come together monthly to offer a view on Trust issues. Importantly, this group supports the Trust in its quest to continually improve patient, family and carer experience. Actively participated in talk medicines week by attending events throughout the Trust and promote the new MEDICINES HELPLINE. This is a new and dedicated phone line for patients who have questions about their medicines when they leave hospital. We also discussed the leaflet for patients that we had contributed to. Visited wards, encouraging staff, patients and carers to work in partnership during Dementia week to help improve patient and carer experience. Worked with staff to undertake a patient-let assessment City. The 12 patient representatives looked carefully at cleanliness, environment and food service standards. They tasted food and provided a range of feedback. This is part of the national assessment PLACE assessment.The results are due to be published this summer.